After traveling around town, I have found my favorite dish of 2018 at Lola’s Bistro – Wichita By E.B. 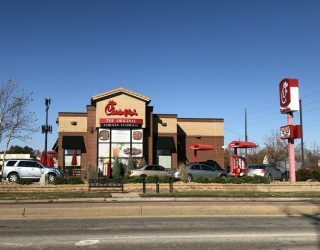 Through the first months of 2018, I’ve been to a lot of restaurants and tried many different dishes all over town. But on one fateful Tuesday evening, I finally came across what is my favorite dish of the year. Last week, Lola’s Bistro posted a picture of an appetizer called Hamachi Crudo. Hamachi is yellowtail fish and the word crudo in Italian means “raw”. I only know because I utilized Google. I had to have it and quickly told my friend we had to go. 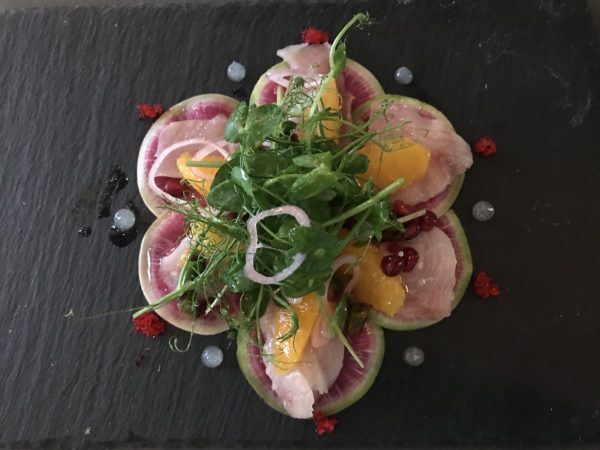 The appetizer special consisted of Hamachi with pea shoot salad, watermelon radish, pistachios, pomegranate seeds, tobiko, orange supremes and avocado oil. We could have done without the pea shoot salad but everything else was amazing and certainly unique. There was an elegance to the appetizer that brought it to a whole new level. Given the name of the blog, don’t let me lead you to believe this appetizer was my favorite dish of the year. While it was great and our reason for going, the main entrée was what blew me away. The Duck Breast at Lola’s Bistro is hands down my favorite dish of 2018. Here’s the kicker, this dish wasn’t even something I ordered. On our visit, my friend ordered the duck breast and I went with something else knowing full well I would secretly eat off of her plate when she wasn’t looking. While my order was the Beef Cheek Raviolis, which was excellent, I should have just ordered a second plate of the duck breast. 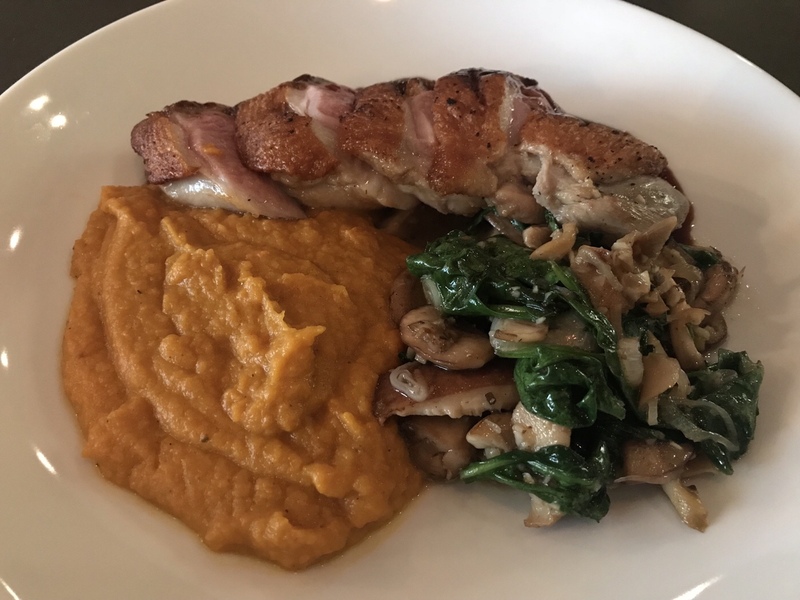 This entree is a seared duck breast, served medium rare over wilted spinach and wild mushrooms with sweet potato puree and port wine sauce. Within seconds of the plates arrival, we were both wowed. The first thing we tried was the sweet potato puree. I’m not kidding you, it tasted just like pumpkin pie and was insanely good. The wilted spinach and wild mushrooms were also exceptional. The spinach gave the wild mushrooms some nice texture that really complimented the feature of the meal: the seared duck breast. The seared duck breast was about as tender and flavorful as you could get. There were small bits of fat on the duck that didn’t deter from the meat at all. In fact, it really added to the whole flavor profile. Each bite of duck felt like a relaxing massage for my palate. At times, we dipped the duck into the sweet potato puree and it was like a whole new meal. There were times I closed my eyes while chewing my food as if it were a beautiful delicious dream. My friend kept complimenting the dish with each bite and talking about how she wanted to introduce all of her family members to it. Considering it was my friend’s meal, I should probably thank her for allowing me to even eat off of her plate. I looked like a sad puppy sitting across the table looking at her dish and just taking in all the senses. After we completed our meals, we sat there and took in what we just experienced. I asked for the chef to compliment him on a job well done. Then considered ordering a second duck breast to take home for dessert. If you’re a panhandler reading this, I would recommend standing outside Lola’s Bistro for this dish instead of at Kellogg & Armour asking for money. But since panhandling is illegal, I can’t support either action. What does a meal like this cost? At some restaurants, they may expect you to pay $50, $40, $30 or even $25. But wait!!!! If you act now, this delicious dish can be had for just $23! Based off of the quality alone, it felt like we were ripping Lola’s Bistro off. I wanted to avoid using the title “Best Dish” because what I consider best could be different for you but if you feel your food preference is similar to mine, you’ll LOVE the seared duck breast. With five months left, this dish is going to be tough to beat for my favorite of the year but we’ll continue dining out to see. In the meantime, go check out Lola’s Bistro and follow them on Facebook. …….now with that said, I owe my friend a duck breast meal after eating half of hers.